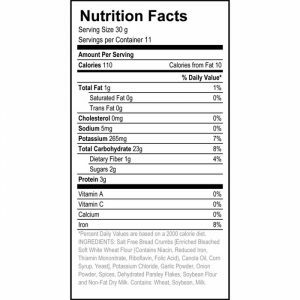 4C makes it easy to limit the sodium, but not the taste. 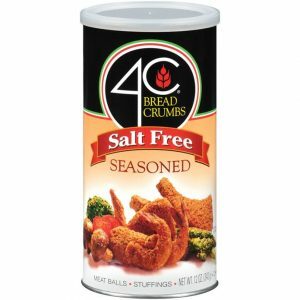 4C Salt Free Seasoned Crumbs add the perfect zest to all your favorite foods. We start with salt free bread crumbs and add our unique blend of herbs and spices. You won’t believe there’s less than 5 mgs per serving!